Ngorchen Kunga Zangpo (Tib. ངོར་ཆེན་ཀུན་དགའ་བཟང་པོ་, Wyl. 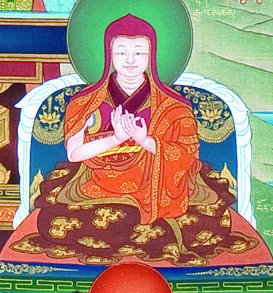 ngor chen kun dga' bzang po) (1382-1456) was one of the most influential of all Sakyapa masters, and is credited with founding the Ngor subschool. He was a contemporary of Rongtön Sheja Kunrig and a teacher of Shakya Chokden and Gorampa Sonam Senge. He founded Ngor Monastery in 1430. This page was last edited on 3 July 2017, at 05:52.